Young Chopin is a student in Warsaw. He must cope not only with everyday problems, but also life during the Russian annexation. He goes through the ups and downs of youth and decides to go to Wien for a scholarship. After he leaves, a revolt bursts out on the former Polish lands. Based on: Stanisław Hadyna, "Niezatarte ślady"
In prince Jabłonowski’s palace, where all of the Warsaw officials of the first half of the XIX century are present, Chopin plays on the piano. One of the guests is Nowosilcow, who tries to eavesdrop on conversations to find potential conspirers. When Chopin leaves the palace, his coach is checked and he is asked about his identity. The gendarmes are clearly looking for someone. The next day at a lecture at the University it turns out that this person is the poet Küchelbecker, who has finally been caught. Professor Bentkowski, who lectures on history, says that the ruling of lower classes over high classes is a necessary historical situation. There is an uproar in the classroom, the students drown out the professor and the lecture is interrupted. The students decide to protest against arrests. They begin a demonstration in front of the house of the judge Barcikiewicz, who favours the tsar. The police enters the crowd and the students have to run away. Chopin and his friend Tytus Wojciechowski find a hideaway by the Vistula. At the end of the university semester Chopin has two failures. He receives a distinction for being a talented student, but his friend Dobrzyński wins an award for the most distinctive individual. Chopin is very upset about this. In his opinion Dobrzyński writes empty, lifeless, effusive music which appeals to his listeners because many instruments are involved. Chopin wants to convince himself and the professors that music written for one instrument might have greater power and carry more content. He is certain about this after having seen Paganini’s concert with his friends. Paganini is an amazing player, his violin plays sounds unlike any other music. Backstage Chopin kisses Paganini’s hand to show his respect. The University makes going to church every Sunday obligatory. During the mass Chopin sees a beautiful girl and falls in love with her. Her name is Konstancja Gładkowska. She sings in the choir and an untalented organist accompanies her. Chopin cannot stand the tuneless sounds and plays the organs himself. Konstancja likes his gesture. They meet after mass at an exhibition of casts. Chopin does not hide his interest in her. They agree to meet at Żelazowa Wola, where Gładkowska will be singing; Chopin will accompany her. On his way to Żelazowa Wola Chopin has many adventures: a wheel in his wagon breaks, he spends the night at a peasant’s house. In the morning, while walking down the street, he runs into people going to a wedding party. They invite him to join. A local group plays at the wedding party. Chopin likes this music and believes that a Polish composer should be inspired by it. In Żelazowa Wola he plays for Gładkowska and then they go for a walk. They kiss for the first time. However Chopin is not certain of Konstancja’s feelings. She is often seen with lieutenant Pisarzewski…The same happens at the New Year’s Eve party. Chopin is sad and leaves Sala Potocka and goes to Sala Wrocławska, where there is a big party for craftsmen from Warsaw. He plays for the people dancing and manages to catch the New Year’s atmosphere. He soon passes his final exams. This time the professors – along with Elsner – have no doubts: Chopin is a genius. At home Chopin receives a message about the revolution in Paris. He visits his friends and together they make a plan of an uprising in Poland. Chopin may be abroad by then – professor Elsner is trying to get him a scholarship. When it becomes certain that he will be leaving, Chopin plays a goodbye concert in the National Theatre. Konstancja is also in the audience. They say a few final words to one another. This will most likely be the last time they will see each other. The film about Chopin was supposed to be an anniversary film. However the preparations for this project began late. 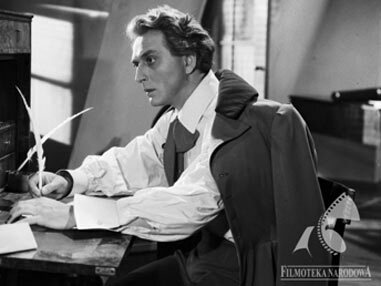 The hundredth anniversary of Chopin’s death was in 1949, while the contest for a film script was declared on 15 May 1948 (in effect “Chopin’s Youth” was on screen three years after the important anniversary). The jury consisted of Leon Kruczkowski, Antoni Bohdziewicz, Aleksander Ford and Jerzy Toeplitz, among others. Many people were interested, because the prizes were attractive: 300 thousand zlotys for first place, 200 – for second, and 100 – for third. 101 films were sent in and 97 out of them were qualified. The result was given on 11 November 1948, but the jury decided not to award first prize to anyone. Stanisław Hadyna’s novel was most highly praised – it portrayed Chopin’s life during his last year in Poland. However, the perfectly shown historical background of Warsaw of the 30s in the XIX century did not convince the jury. Chopin was not portrayed well, he appeared to be a lost man, looking for the right artistic path. Polish cinema – which was then stuck in a stiff socialist convention – needed a strong character, or at least one who could stand on the right side. Chopin had to be like that on screen. 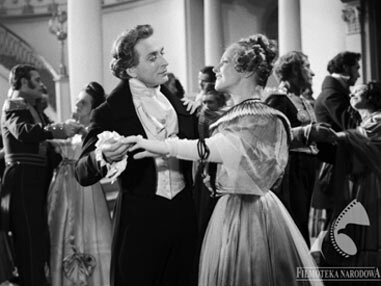 Some parts of Hadyna’s novel actually made it to the screen, but for now Aleksander Ford, who was made responsible for the film about Chopin, ordered a new script. Jerzy Broszkiewicz, known for his musical interests, was to write it. Just in case, two other texts were ordered: by the Bachner-Korngold partnership, who knew the French environment of Chopin’s times, and Roman Brandstaetter, who was a specialist in biographies. For Ford it was obvious quite early on that the film about Chopin should take place most of all in Poland and should focus on the composer’s youth in order to show that his artistic work comes from Poland and that he had been inspired by the national folk and the social-political atmosphere before the uprising. It is impossible to make a film about Chopin’s music and its influence if one does not make a biography – said Ford. However it depends on how we define a biography. If we only make it a list of facts from Chopin’s life, it will be awful, but if we choose the things which are important for his artistic work, if we - in his personality, his life, environment, contradictions – seek the line which shows the revolutionary nature of his music, then this kind of biography is the only way (Jerzy Giżycki, Film o młodym Chopinie, Filmowa Agencja Wydawnicza, W-wa 1953). Broszkiewicz did not fulfil Ford’s requirements. His novel was more factual than dramatic and in its original form was not enough for the film. The script board advised Ford to write the script himself, using Hadyna’s novel and the other texts. Ford’s work was in fact a successful compilation. He almost completely omitted the French texts and Brandstaetter’s texts. He took Chopin’s and Gładkowska’s walk in Żelazowa Wola from Hadyna’s text and a few elements of Broszkiewicz’s text: the demonstrations of the students in front of the judge’s house, the incident in the church, the eavesdropper and the planned attack on the Great Prince Konstanty. In Ford’s conceptualization the future film about Chopin was in a way a political lecture, giving the nineteenth century’s history the right accent. It could not have been otherwise back then. It is amazing, however, how carefully the directors prepared the music for the film. Everything was part of a logical whole: Chopin’s pieces appeared in those moments of his biography when he actually made them, and the folk inspirations that we see are really visible in the work we hear. Kazimierz Serocki, who was responsible for the music in the film, chose the best pianists to play the musical parts for “Chopin’s Youth”. Chopin’s part was played by Halina Czerny-Stefańska, a laureate of the IV International Chopin Concert, while the parts of Paganini and Slavik were played by Wanda Wiłkomirska, a laureate of the International Teenage Contest in Budapest and the Bach Contest in Lipsk. Even for the folk songs, Serocki searched for people in amateur country groups. Many of them appeared later in the film as guests of the wedding party. Thanks to this in Ford’s film the political aspect was in the background and the music won. You watch “Chopin’s Youth” over again in order to most of all see the sequences in which Chopin’s music is in its purest form. A large, exalted biography-epic has been made. It has concentrated on the source of the brilliant music of the genius and has been a synthesis of the époque. 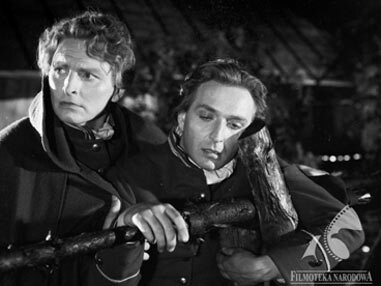 It has also been the largest production of Polish cinema in the first post-war years. 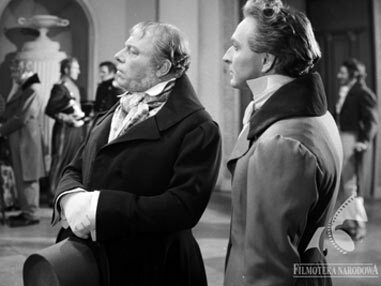 The filming lasted for a year, involved 1,5 thousand extras, 2 thousand costumes were sown, and the Polish reality of the XIX century was adequately shown. The film has a loose structure, which enabled it to show the historical background, revolutionary ideas, Chopin’s biography and music (playing constantly) all at once. “What was most touching in Aleksander Ford’s film was showing a live person. The creator of the film was able to really read documents and really listen to Chopin’s music. He brought out the most important elements. Not sadness, but melancholia, however most of all the strength of the artist. Ford made Chopin a real human, not a statue. Chopin is seemingly just a normal boy who likes humour and joking around. However apart from this apparent plainness and unapparent humour and personality, you can see a genius, at first completely unconscious of it, later more and more dynamic. Chopin is a person like any other in the film, he looks at the world through human eyes, he learns to see and listen, to live. He plays, loves, has dilemmas concerning history and his art. History bursts into the university he is attending, onto the street on which he lives, finally into his room in an attic in Warsaw or his house in Vienna. History carries his pen. Chopin’s genius is from this world, because it is developed by the elements of this world. Many live people fought for his pieces both before they were made, and after, and these people represented many different environments, ideas and goals. In the film Chopin’s music shapes the Polish landscape and the peasant wedding, it is shaped by the revolutionary students, Maurycy Mochnacki and Joachin Lelewel. The roots of the wonderful film image of creating the Revolutionary Etude is the November Uprising and the Vienna boy with his »Es lebe Polen!«. Chopin’s music opposes the Czartoryskis and Nowosilcows, the city people. It opposes them until today”. 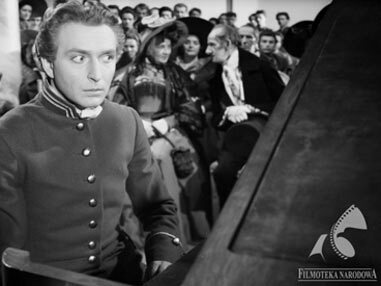 “The film’s truth about Chopin and his époque, which is shown by Aleksander Ford, remains in the viewer’s memory not in abstract notions, but in exactly those images that the artist portrayed. 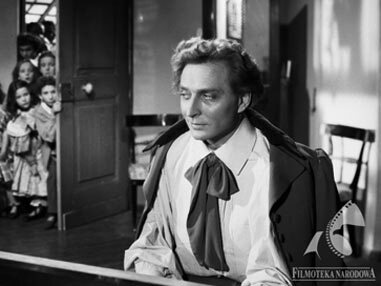 In this film Chopin’s music must have been the most important, because it was the only way to really portray the figure. In order for the film not to decrease its meaning, but on the contrary, to explain it in full with its content and beautiful composition, the maker of the film reached for the tradition of national art. Our whole painting output of the last century was used in this film. Chopin goes to the dark cottages from Kotsis’ paintings. 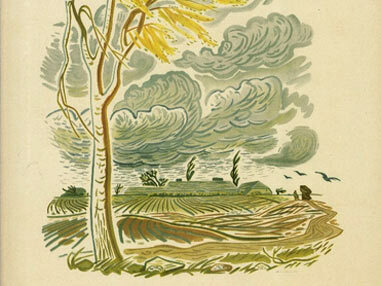 His wagon drives down Chełmoński’s muddy roads. Płoński’s beggars speak with a sad carok, and Orłowski’s and Kostrzewski’s pictures awake in folk dances and songs. It’s not just the paintings which have a new life thanks to the film and have been looked at by society anew. The music which was made by Chopin in the film also showed us the truth about Polish realistic painters. It showed their deep love for the country people, their pain and battles, a love for their ways, their songs, a love for the Polish sky. Showing this common current of our painting and Chopin’s pieces, combined with a true image of the historical époque which the director showed in his film, gives the direction for the quest of a national artistic form in cinema”. "The fundamental content of the film is showing the atmosphere in which Chopin’s music develops. According to Ford’s conceptualization it consists of: the poetry of homeland, the life and pain of the people living there – as well as romantic revolutionary ideas which were shaking up Poland, Russia and Europe. The landscape of Chopin’s more exact homeland is Kujawy and Mazowsze: it is different from the scenery of Podhale, harsh, exalted and wild, which affected the raspy, dramatic, torn art of Szymanowski. Chopin’s land is full of reverie, peace and dignity; feelings that are born here are sung to the full, to the end, with a knowledge of their importance and strength. The second component of the artist’s work is the atmosphere of the upcoming November uprising, the unrest in Vienna, the events in July in Paris. In these scenes Ford uses the experience of the Soviet film school, a style of which he is the most prominent representative. Here Ford makes a theatrical, but noble pathos, where we see a discussion of the leaders of the uprising gathered at Mochnacki’s place, while Chopin plays in the next door room; the scenes of the battles of 1830, where the fighters who fell hand the living the flag for attack; finally the Paris revolution – half-naked workers, who have left their workshops to go fight with their leaders, like on the famous painting by Delacroix. 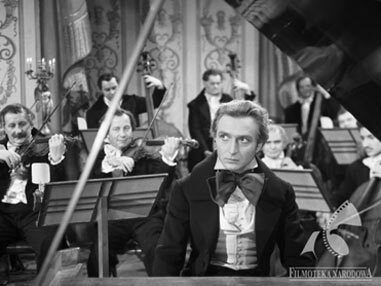 The film is full of great scenes, like to one with Chopin’s concert, when the camera moves along the concentrated faces of the audience, the elegant ones on the ground floor and those from whom Kiliński went out, on the gallery; the party in the folk »tancbudza« in Warsaw, shown with verve and impetus, where Chopin improvises the song »Szynkareczko, szafareczko, bój się Boga, stój«; then the interesting director’s allusion when the camera slowly wanders along the portraits of Bach, Beethoven, Schubert and stops on Chopin’s face, including the living Polish composer in the gallery of music masters”. "In ‘Chopin’s Youth’ the creators of the meeting of music with image and drama paid most of their attention to the music miniature. Because Chopin’s diary tells its truth most beautifully in the language of miniatures – they had every right to make this choice. However what is most important is that they made it perfectly. The most important points are: the polonaise, the mazurka, two etudes. The history of these forms in Chopin’s work is too rich to even make a sketch here. What is important in the film is how the miniatures from Chopin’s youth tell the story of the development of his music – the history of the development of its content, so its greatness. The filming of the Great Diary starts at a very young age, conventional, touched with the fashionable polonaise. After the polonaise – the mazurka. Rich in true lyric poetry, excellent in form, his own. Afterwards there is a full development of the history of leaving the fashionable brilliant style and from the delicate, poetic, but sentimental lyric to values which have been the greatest in Chopin’s work: dramas – to what Schuman called »dread and wildness«, and what was in fact a wonderful dread and wildness of the fights of the époque, fights that Chopin watched, whose voice he heard with his heart and talent and gave testimony to it in almost all of the forms of his work – from mazurkas to sonatas. The story in ‘Chopin’s Youth’ ends with two etudes, full of this dread wildness. So along with the biography a real artistic drama develops”. "Aleksander Ford, with the assistance of the creators of the basic novel, which has been a basis for the film, wrote a script and directed it in a way that all of the necessary elements are present. The film is influential, touches the sensitivity of the viewers and most of all reaches its primary goal: to make Chopin and the environment he and his music grew up in known. As a very young student of professor Elsner’s conservatory Chopin is not yet fully appreciated; one of his friends, Dobrzyński, who is unknown today, received a better grade than him at the end of the year, which made young Chopin extremely upset and worried. However his close ones, his family, friends, even his maid Zuzka, believe in him and his talent. Therefore the young Chopin ends his studies with a grade – ‘musical genius’. We see Chopin during three years of his life in Warsaw in his different environments. He plays in the salons of the great (the concert at prince Jabłonowski’s in the presence of Nowosilcow), he goes to Warsaw’s cafes, surrounded by young people including students, officers who plot about the national revolution, he even goes to a dance hall (called casinos – this name doesn’t appear in the film) with his riotous friends, where Warsaw’s craftsmen and students dance with country girls and where many hostile words about the tsar and prince Konstanty can be heard. Here, in the revolutionary youth environment Chopin is educated and becomes mature. This is later visible in his work”. “Chopin’s Youth” was shown in England, Bulgaria, Czechoslovakia, Finland, France, Israel, NRD, Romania, Hungary and USRR. 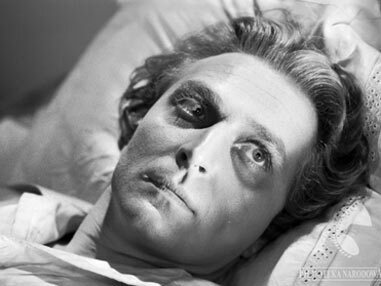 The preparations for the film lasted from April to August 1950. Filming began in February and ended in October 1951. Editing lasted from November to December 1951. Czesław Wołłejko, who played Chopin, took piano lessons especially for the film. 30 atelier decorations, 21 decorations outside and 1800 costumes were used for “Chopin’s Youth”. Gustaw Holoubek also tried to get the role of Chopin.